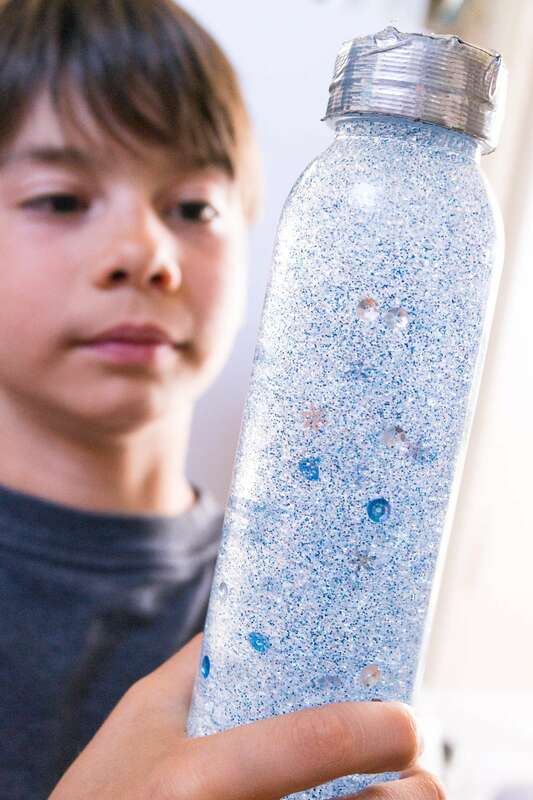 I have two little boys with strong emotions so we've been using sensory bottles for years to help them get a handle on how to calm themselves when they feel out of control. Turns out they work great for children and adults alike! I thought it would be fun to make different themed bottles for each of the seasons, beginning with this Winter Sensory Bottle. 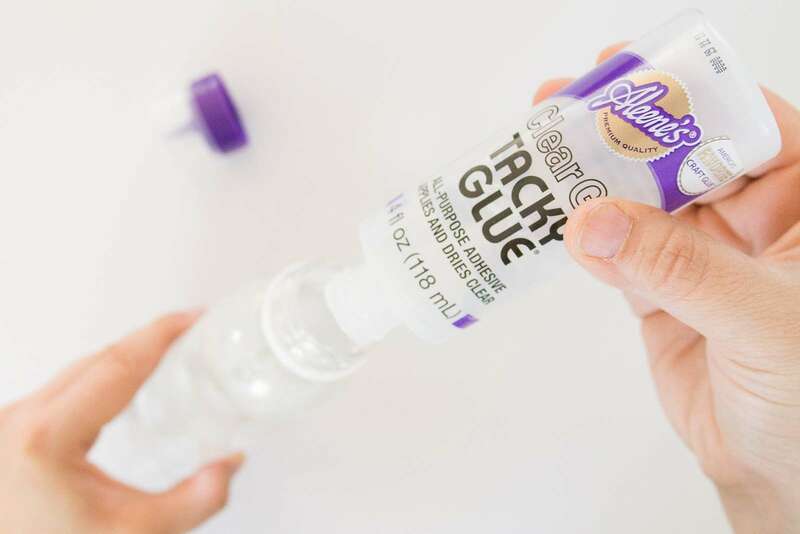 Pour entire bottle of Aleene's® Clear Gel Tacky Glue® into your recycled container. 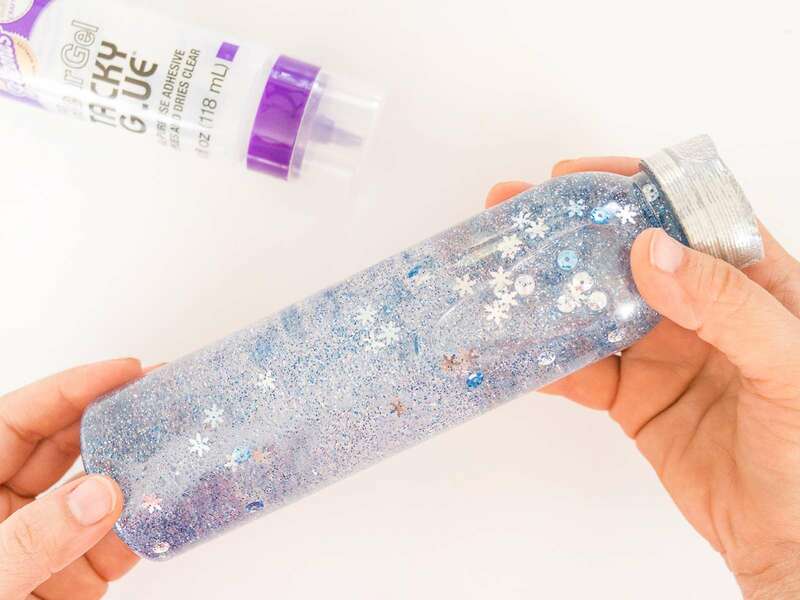 Keep in mind that adjusting the amount of glue you use will alter the time it takes for the glitter to settle (less glue = quicker settle, more glue = longer settle). 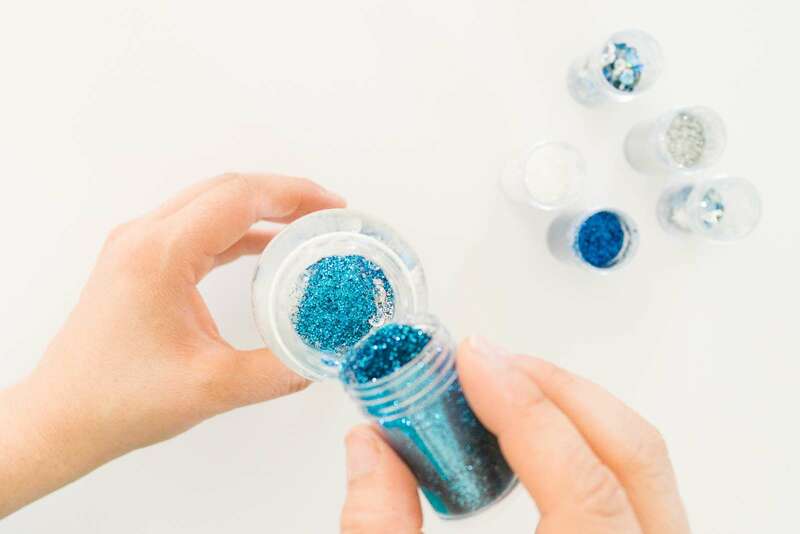 Pour a dash or two of each glitter color. 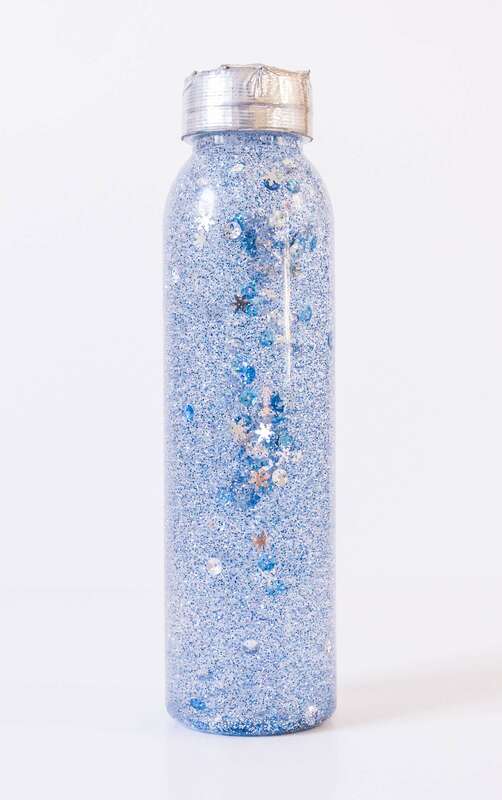 I added some fun snowflakes since I was making a winter-themed sensory bottle. Add warm water until entire container is filled and secure lid. The warmer temperature will help separate the glitter from the glue quicker. 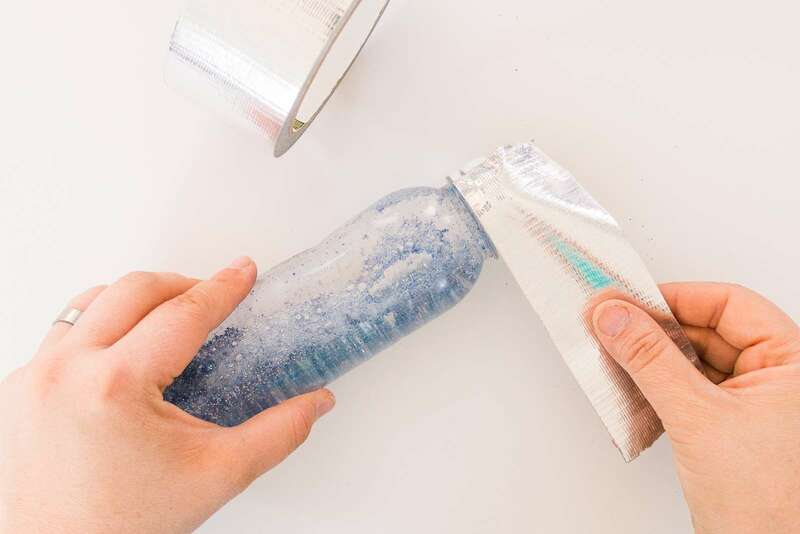 Use a strip of duct tape around the entire lid to prevent any accidental spillage. Fold excess tape over the tip of the lid until flat. Give the bottle a few strong shakes to fully incorporate the contents. I dare you to try and not be completely mesmerized by the swirling patterns! Your Winter Sensory Bottle is done! Now you can introduce it as a calming mechanism the next time one of your kids is feeling a bit out of control. 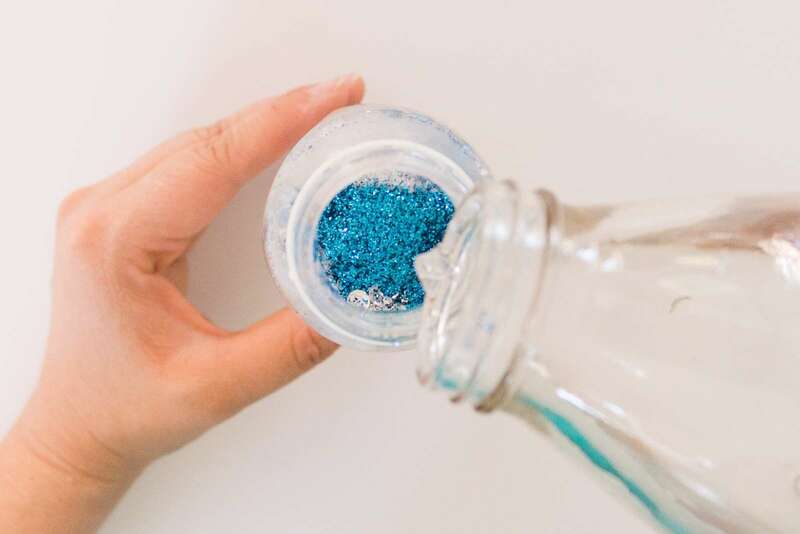 The larger glitter pieces will sink within a few seconds and the entire bottle within five minutes. The perfect amount of time to calm any spirit!